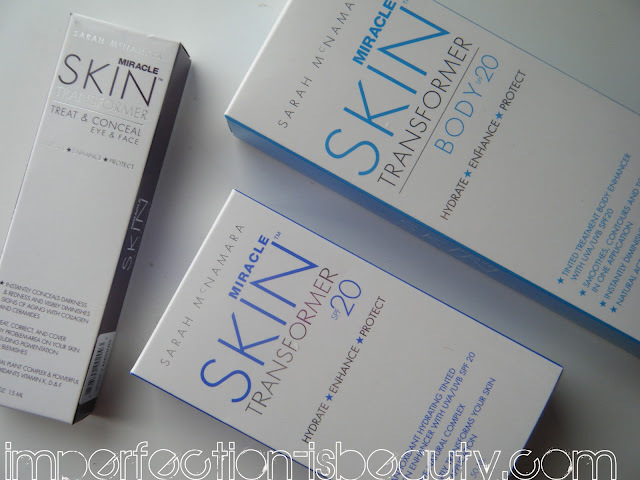 After extensive research with leading chemists, beauty industry expert Sarah McNamara launched Miracle Skin Transformer in 2010 to provide those with busy lives a one-step beauty routine. Each revolutionary formula contains natural active complexes that offer protection and hydration benefits, giving you a smooth, radiant, airbrushed-like complexion in just seconds. These all-in-one beauty hybrids also work to improve your skin's texture, reduce the appearance of pores, smooth and minimize the appearance of fine lines, and reduce hyperpigmentation. 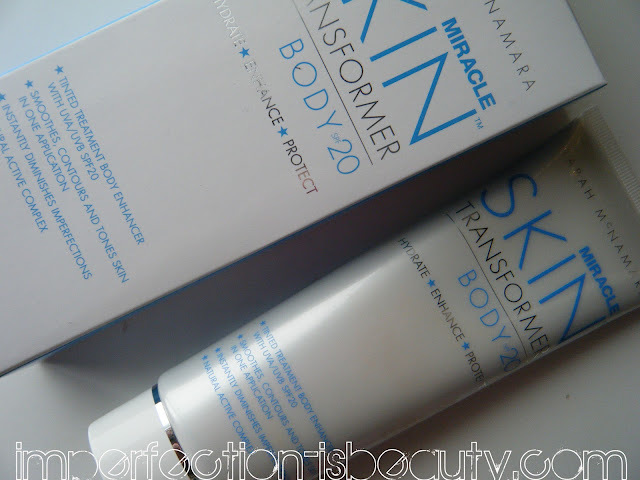 Miracle Skin Transformer will simplify the routines of those with even the most active schedules. Hydrate, enhance, and protect in one single step. The texture of this concealer is nothing like I've felt before, its pretty odd. It comes out very similar to a mouse texture. Very lightweight, and once its blended it almost feels like a powder. It applies very smoothly and works wonders under the eyes. It does not go into your fine lines, and that's something I really can't stand with certain concealers. As far as concealing blemishes it almost reminds me of the Hard Candy's glamoflauge concealer as far as really covering up and imperfections. However, its not that greasy constancy like the glamoflauge. 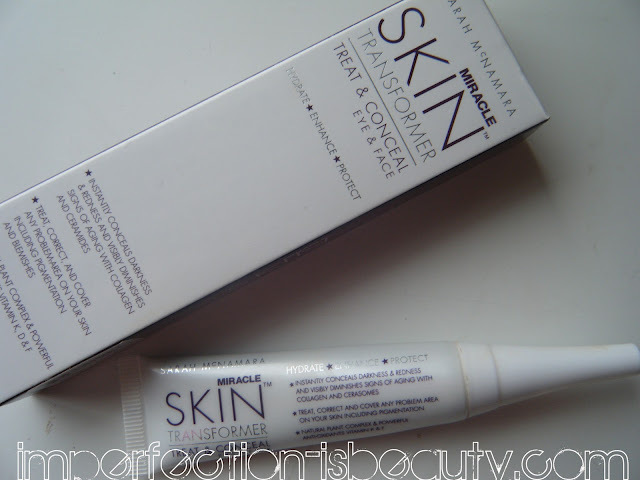 It feels so light weight and a little goes a long way, and the coverage is fabulous! It sort of feels like a primer I guess you can say because it has a silicone base already in the product. 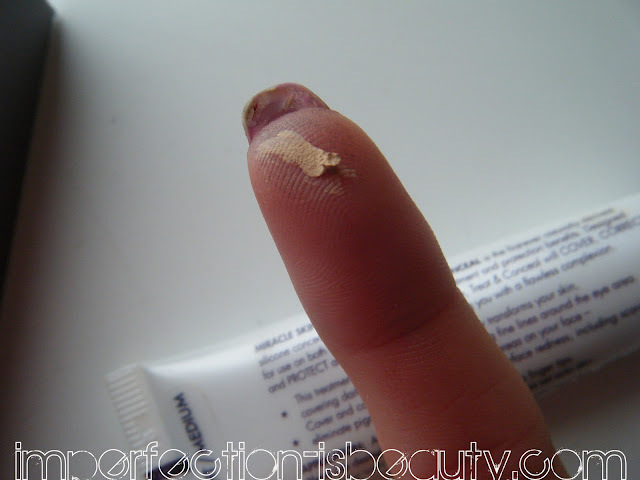 Therefore, you do have to wait for your moisturizer to set before applying because it could run right off. Now that I've used this for quite a while now I don't think I could use any other concealer to cover up imperfections. I also really love this concealer because it treats your blemish/pimple and that's the thing I'm most worried about when I'm covering areas up is that it will never heal, or it will just drag the whole healing process out. Not with this! Its great and the price is pretty ideal for a concealer. Totally worth it. Really leaving your skin looking flawless. I'm not usually one that gravitates towards tinted moisturizers only because I like a little more coverage. However, this I like and is the only tinted moisturizer that I can actually wear. Firstly I really LOVE how it lets your skin show through the product. It applies so nice. and again this almost feels like a mouse when blended. Its very blendable, and the once blended it almost feels like a powder. Its very lightweight, and I hardly feel like I'm wearing any makeup, really giving me an airbrushed look. It claims to be a 5 in one formula designed to hydrate, prime, enhance, mattifiy, and protect your skin. I think that's really why I liked it the first time I applied it. It does keep my face very hydrated, and did not notice any flakyness. I did notice it did fill in any fine lines and minimized my pores like a primer would do, and as far as keeping it matte it does do that! As far as any unevenness. I did notice my skin really improving, but I also recently started using a clarisonic so I'm not really sure what has helped my improved skin. It does have spf 20 which is great because then you can skip the sunblock on those days! If you looking for a moisturizer that gives you a nice tint this does give you a nice glowy look. Very clean, fresh, and most importantly streak free! The consistency is very smooth, and silky. Their is just a moisturizer enhancer if you didn't want a tint, theirs one for light/medium skin tones, and a dark skintones. Overall I really was impressed with all of the products. The body moisturizer is something I can skimp on just because the color I picked really didn't give me to much of color. I suppose I could have gotten a darker shade, but I did like the way it felt on my skin. All are surprisingly very moisturizing, and feel like a primer which some might not really be a fan of. I did find myself using the concealer more so then anything and I really liked that the most. The concealer, and tinted moisturizer I would say is pretty long wearing. I never noticed a problem with it wearing off throughout the day, but then again its still winter. I was really impressed on the way it felt on my face, both have a rather generous amount so I can see these lasting a ideal amount of time depending on how much you use. The tinted moisturizer is light coverage, and can be buildable but not much. I'd say don't waste the product trying to build it up because its not happening. The tinted moisturizer is a bit pricey, however thus far its the only tinted moisturizer I found that I like. I'm looking forward to the hot summer months and hope I can still have the same outcome, but will see. Let me know if you'd be interested in any of these products for a giveaway! ?